I got wind of this novel via the magnificent communication channel that is social media. It’s always nice to have a novel suggested, and then totally by coincidence see it get a mention by a bunch of more familiar sources. It helps turn that “What have I got myself in for?” feeling into smug validation that I, as a reviewer, have made a wise choice promoting this to the top of the To Read pile. In this case, I was hearing a lot of good press about a great “interactive novel”. I had no idea what an interactive novel was, and there’s always a delicate balance between finding out a bit more and stumbling across spoilers, so I took the plunge and gave it a spin. From what I had read (along the lines of “What would YOU do if the apocalypse came? Lock yourself in a bunker or take a chance outside?”), I was expecting some sort of choose-your-own-adventure novel. I was around half way through before I realised I hadn’t been given any options just yet, so I read the instructions I’d received with the file download (always an option when all else fails) and realised I had missed a bunch of additional content on the official website and in a downloadable app. This additional content includes some deleted material that didn’t make the book, extra background in the form of news articles, an interactive tour of the bunker setting of the novel, and more. So from the outset, this novel and I had a mixed relationship, through no fault of the novel. In retrospect however, I really rather enjoyed the whole experience. Being able to jump online and check out some bits mentioned in the book is akin to having that awesomely detailed map at the start of a high fantasy novel jacked up on steroids. The novel is in the form of (according to its website) 327 assorted documents, that detail the coming of the apocalypse from the point of view of the inhabitants of The Ark, a massive seed vault located somewhere on Mount Kosciusko in the year 2041. Because the whole structure is heavily monitored, these documents are in the form of emails, memos, instant messages and voice recordings recovered some 50 years later. While the Chaos (a never exactly defined malaise spreading across the globe reportedly comprising failing crops, failing governments and widespread anarchy) rapidly brings the whole planet to its knees outside, a mysterious and twisting plot is playing out in the tiny world of The Ark, sealed without consent by the facility’s leader. Kirk Longrigg, the CEO of SynBioTech. SynBioTech funded and created The Ark, and Kirk is none too pleased by the sealing of The Ark. A large part of his correspondence abuses Aiden, the leader of The Ark who ordered it to be sealed, and who is attempting to gain access through force and through the manipulation of various residents of The Ark. Ava, wife of one of the scientists, who struggled to find her place in the community and has concerns around the manipulative nature of their leader. Roscoe, an irritating 15 year old (who is incredibly accurately written), who tragically shows the impact of the end of the world on those just beginning to find their way in life. Pilot, a botanist in regular contact with Kirk. 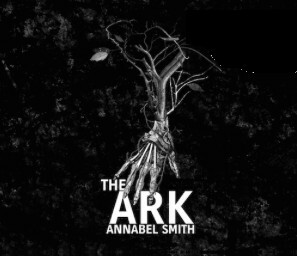 The second half of the novel takes place two years after the initial sealing, when the Chaos has seemingly run its course and the inhabitants of The Ark begin to venture outside. This portion of the novel contains less back-and-forth via messages and more transcripts of communal meetings. I thought the execution of the story via the recovered documents was quite elegant. The moods of the characters are captured well, and various events and incidents that occur as Aiden’s mysterious plot unfurls are skilfully hinted at through the change in tone and writing styles of various characters. One thing I thought was particularly clever were the various futuristic names, sayings and idioms used by the various characters, such as one referring to another as “Not the most sophisticated chip in the network” and the standard search engine Matt7 (Matthew 7:7 “Seek and ye shall find.”). They gave an authentic feel to a believable future. I would have liked to have known more about the chaos unfolding—there were tense moments in the first half of the book as residents of The Ark lost contact with the outside world—but that wasn’t the point of the story. Besides, on the official website, readers are actively encouraged to submit their own fan fiction to fill in gaps and supplement the story. There’s not a lot to criticise in The Ark (apart from the aforementioned user difficulties); however you will probably need an iPad or similar to get the best experience. A word of warning, my best attempts to search the iTunes store turned up nothing. I was only able to locate the app through a link on the website (http://thearkbook.com/). Otherwise, this is a clever, fast-paced reading experience that can be consumed in one hit or easily tackled in small bites due to the format. If you’re a fan of believable post-apocalyptic yarns and have access to a bit of technology, give this one a go. Being a writer requires dedication, commitment, devotion, diligence, a skin like an armadillo and a whole lot of blood, sweat and tears. By this definition, Damien is most definitely not a writer, although he does occasionally put pen to paper. More accurately, Damien is a lover of the written word in nearly all its forms (you can keep vampire romances) and always feels a little down if he can see over his To Read pile. Posted on February 28, 2015, in Edition and tagged book review, damien smith, edition-19, review. Bookmark the permalink. Leave a comment.